Simply incredible and the tour was amazing! 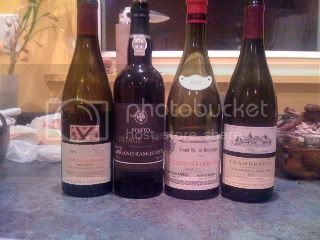 Tonight's wine line up was pretty good this year! BOOM! Nice lineup Moses. A Latricieres and 2 Clos de Beze. Thats a lot to be thankful for. 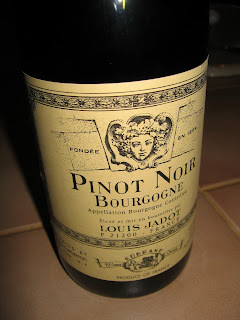 Try the 2005 Louis Jadot Burgundy. It's around $12 a bottle and you both may enjoy that one. Serve it very slightly chilled. Yes, that looks like it. Make sure to let it breathe for a couple of hours if possible. Where is this magicial wine shop? Moses, you must give up these sources. You mean for the $50 Grand Cru's? $50????? Holy Sh*t what a price! I love wine, and I am very partial to California wine, and specifically Paso Robles or Napa Valley. I am, however, no connoisseur by any means. 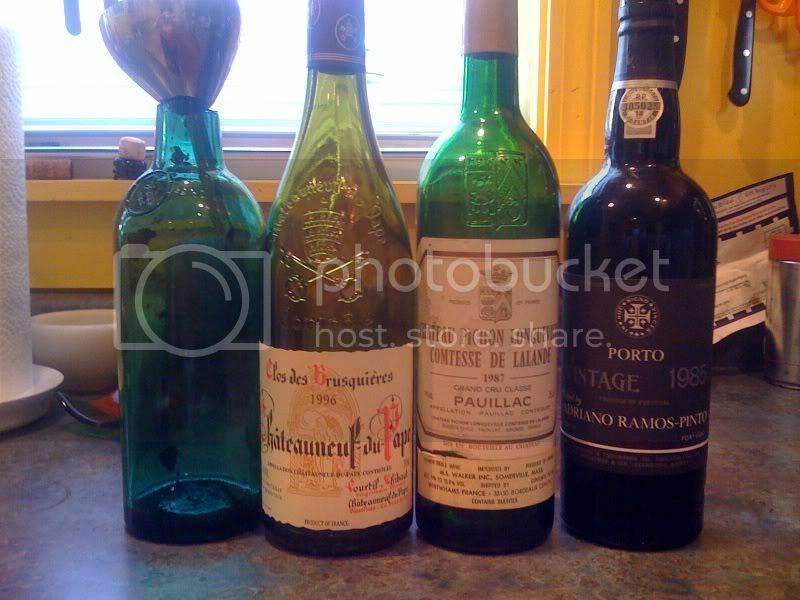 I took some photos of my favorite California wines, and all are vere reasonably priced. Blackstone is carried in most grocery store around here, and can be had at about $8-$15 per bottle. 2006 Bodegas El Nido Clio- paid less than $40 per bottle. Drinking an 05 DaMa Cab from Columbia Valley tonight matched with a ribeye and then a dip5. Delicious as expected. Great night and inbetween the wine to port, we to a latino restaurant and ate like chazers. No cigars, but am getting ready to light up a Monarch right now. I've seen you post those 'chopped top' port bottles before (can't remember the lingo), why do that for the bottle on the left, and not the one on the right?